Duterte’s remarks gave one of the strongest signs yet of fissures in a historic alliance that Washington has relied upon as it tries to cement its influence in Asia to counterbalance China’s rapid rise. His foreign minister later said his comments had been taken out of context. The Philippine military and U.S. Marines are due to hold annual amphibious landing exercises from Oct. 4 to 12 in the north of the Philippines main island Luzon. Military leaders from the two countries have also started preparing for a new set of exercises next year. Duterte said he would establish “new alliances for trade and commerce” with Russia and China, but would maintain security agreements with Washington. 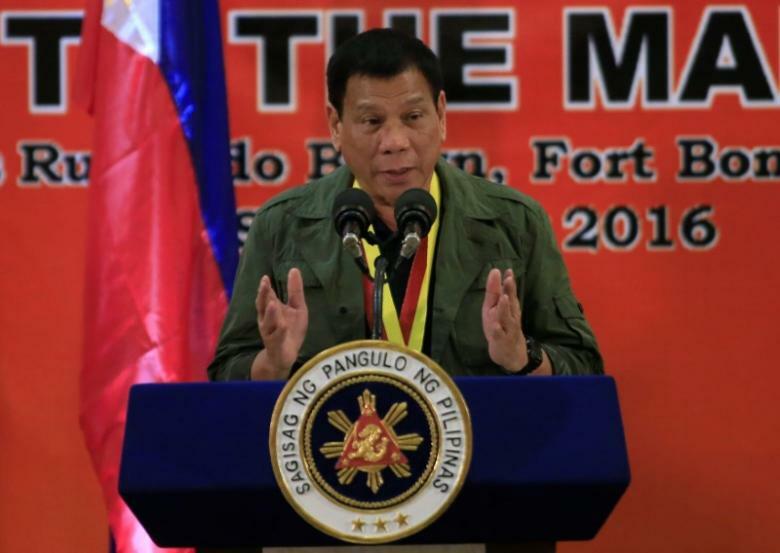 Duterte told a gathering of the Filipino community in Hanoi there would be no chance of having naval patrols with Washington because it risked dragging the Philippines into a possible conflict with China. He said any notion of conflict between the Philippines and China, which have long sparred over sovereignty in the South China Sea, were “not really anything, more imaginary”. Asked repeatedly if Duterte was serious about ending military exercises with the United States, Foreign Secretary Perfecto Yasay said he was misunderstood and the remark taken out of context. But the latest comments add to uncertainty about what Duterte’s end game is and whether Manila’s next moves could complicate regional diplomacy or alter the status quo in the South China Sea.